This beautiful Sugarplum fairy dances while the snow falls around her. 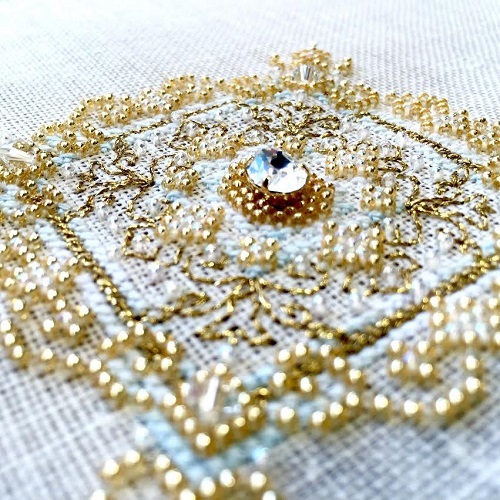 This cross stitch pattern is a companion piece to the Snow Queen design, they compliment each other very well. She measures in at 90 wide by 125 high and contains DMC and Kreinik. Beads adorn her pink outfit. She will be stitched on 32 count Daydream by Crafty Kitten Fabric.